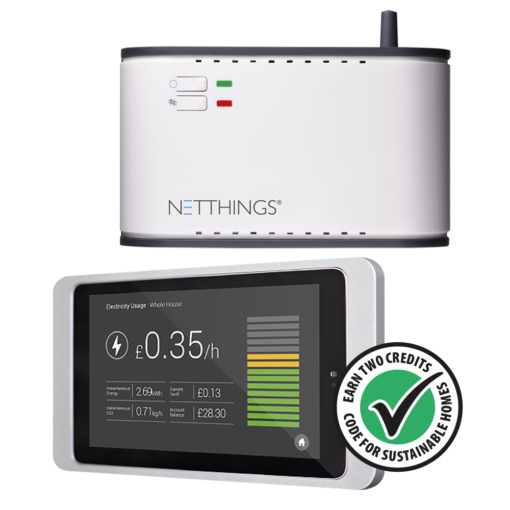 The NetThings Home Energy Management System now available on 247able! 15% SALE – In stock for immediate dispatch. Hurry! Don’t lose out, for a limited period only! 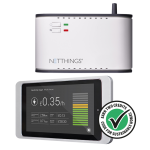 This NetThings Home Energy Manager is a real-time energy monitoring system for all utility types including heat and water. Furthermore, it is worth two code credits under the Code for Sustainable Homes. 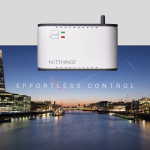 NetThings includes a dedicated wall-mounted in-home display which is easily controlled via it’s elegant graphical user interface. The system is also ‘self-learning’ and profiles your usual energy usage (and alerting you when you exceed this) helping you save minimum 10% off your utility bills. 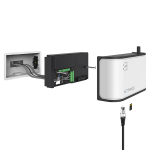 The energy monitoring system has a built in web server and Wi-Fi access point that enable it to transmit energy data costs, in pounds sterling to the engaging local display, without relying on any local access network or mobile infrastructure. Did you know? 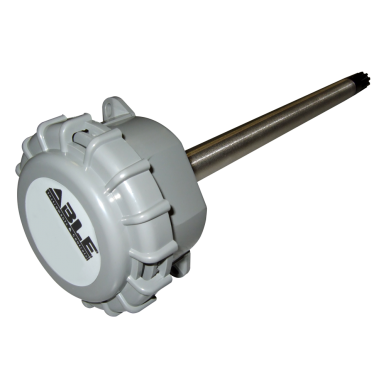 In conjunction with NetThings, 247able offers a range of energy services.